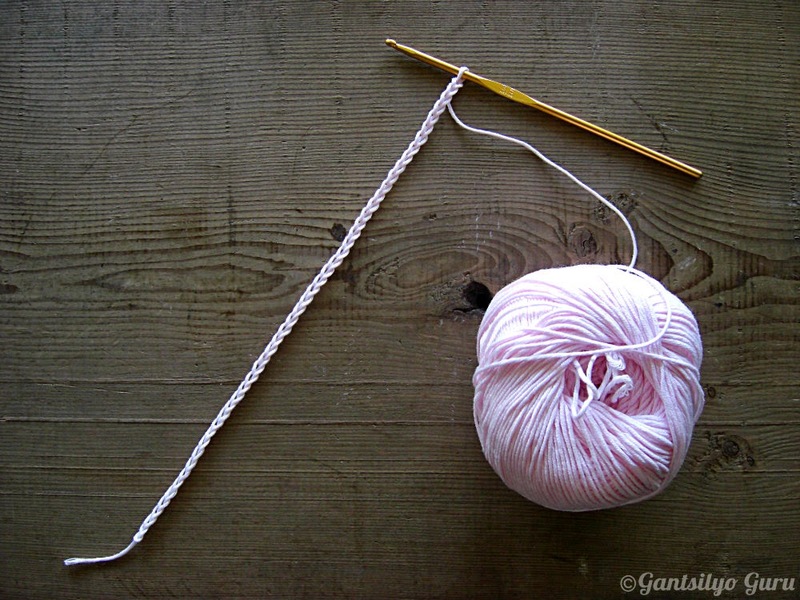 Do you have a "go-to" crochet project if you want to make a quick gift? Well, mine is a flower brooch. 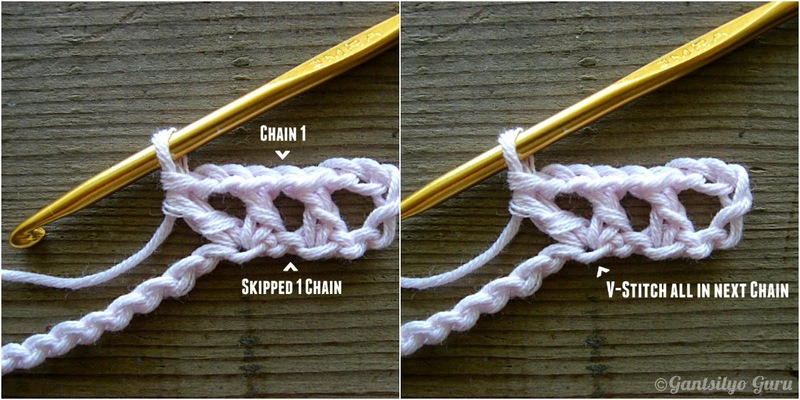 I've been crocheting this same design for years! And it always works! 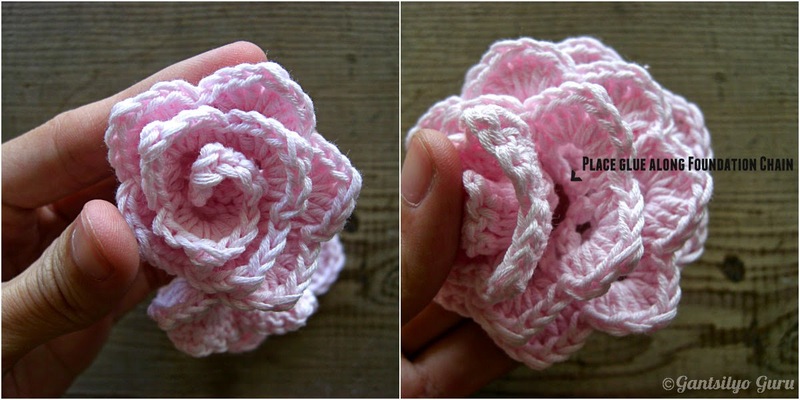 I've given out so many of these as gifts that I have already lost count on how many I've done in many years of crocheting. 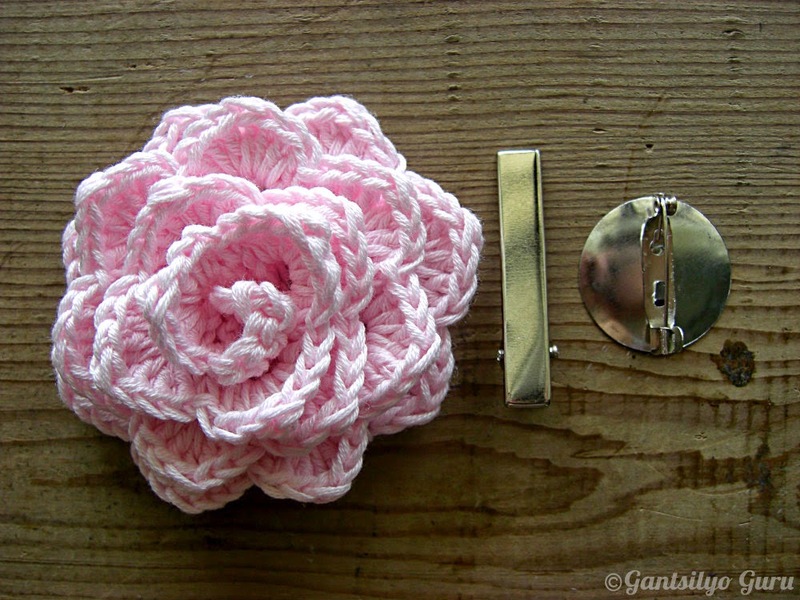 The flower can also be used as an accent to a beanie or as a standalone clip. Of course, I will show you how this could be done. Prior knowledge of some basic stitches is required. 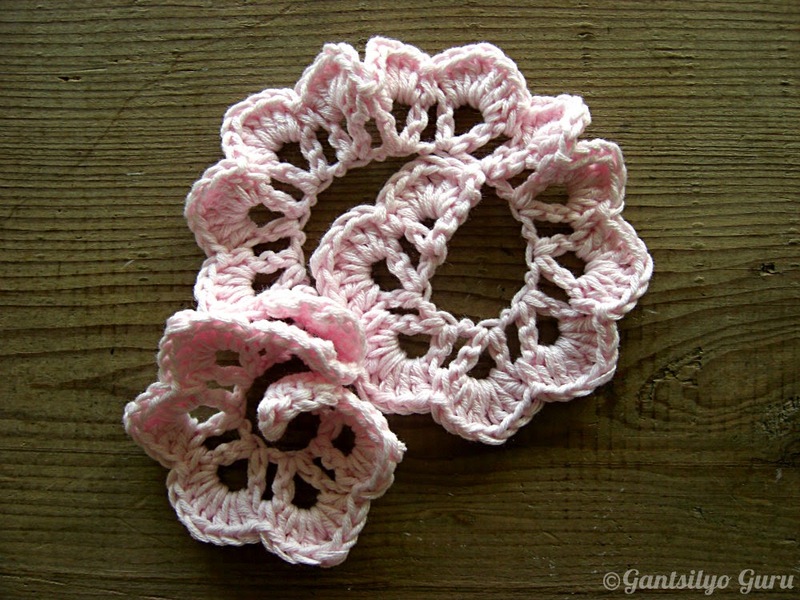 For this project, I used 1 ball of DMC Natura Yarn and a 3.5mm crochet hook. 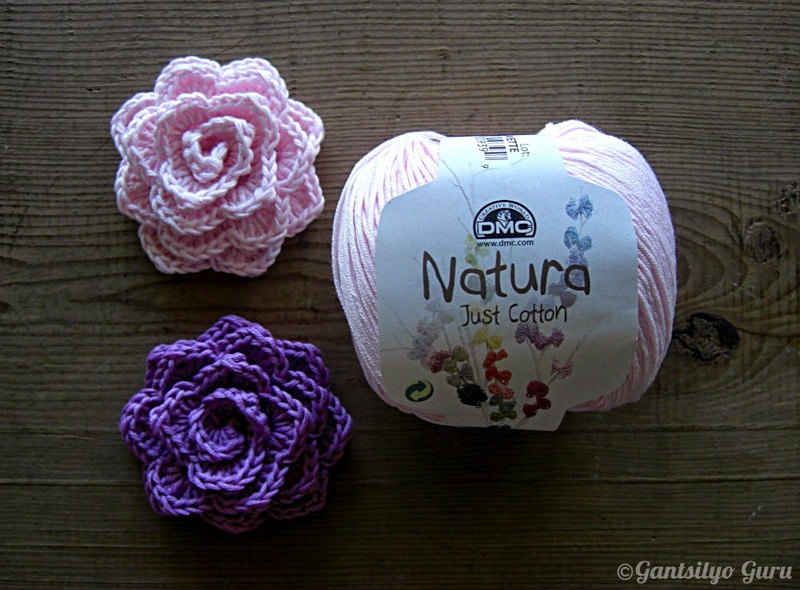 A ball of DMC Natura can make several roses. This 100% cotton yarn is really soft and is also (more than being used for accessories actually) a great choice for clothing. 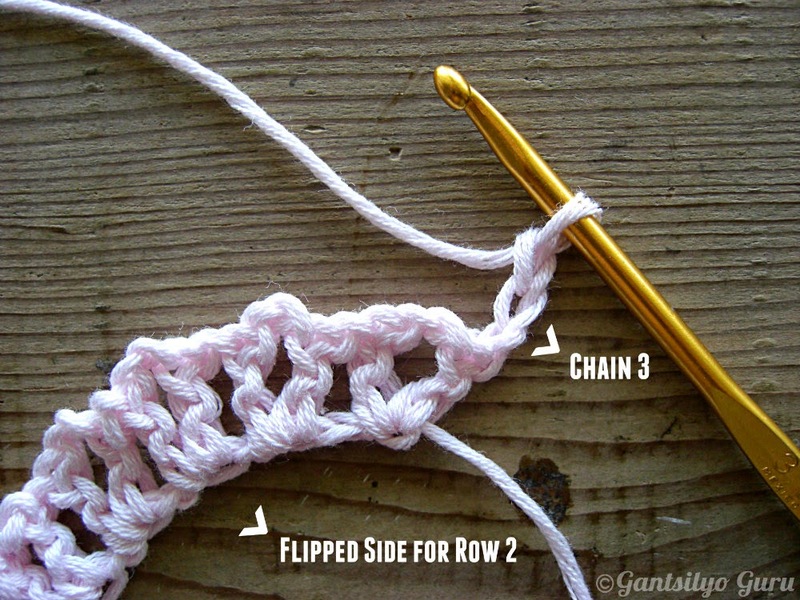 This project involves the following stitches: chain (ch), single crochet (sc), double crochet (dc), and treble (tr). 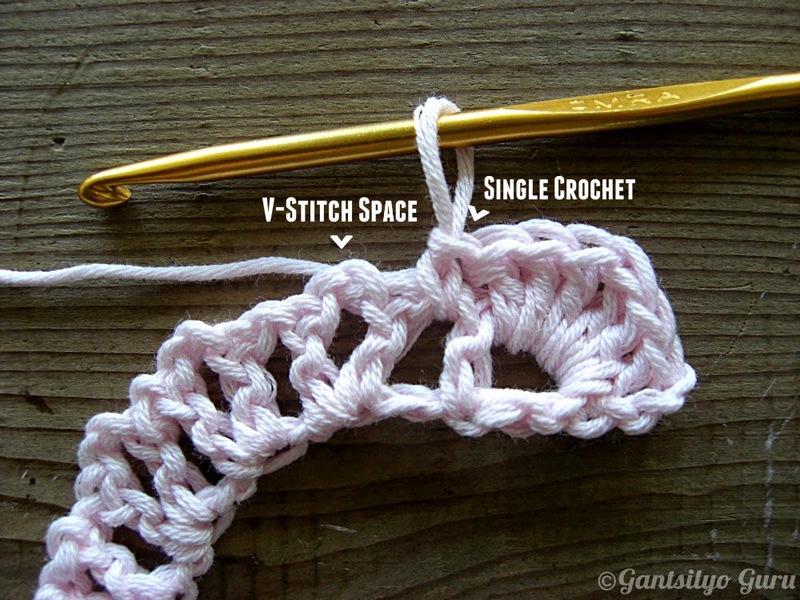 Please note that there is also a V-stitch, made of this sequence: dc-2ch-dc. Now click the link below to see the rest of the tutorial! Dc in 6th ch from hook. Repeat from * to * 19 more times. Skip 1ch and make V-stitch on last ch. 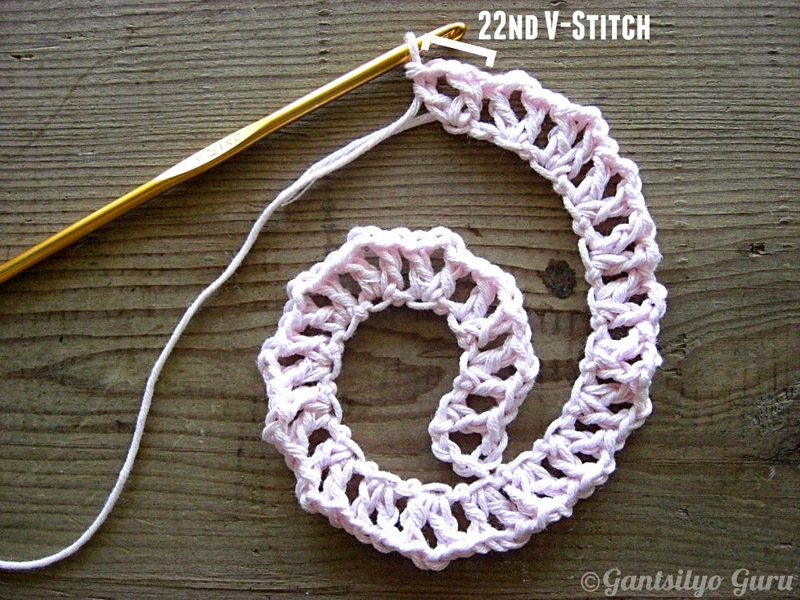 Total of 22 V-stitches are made at the end of Row 1. Repeat from * to * 19 more times. 3dc-1tr-3dc in last V-stitch space. Total of 22 petals are made at the end of Row 2. Finish off. Curl piece to resemble a rose. 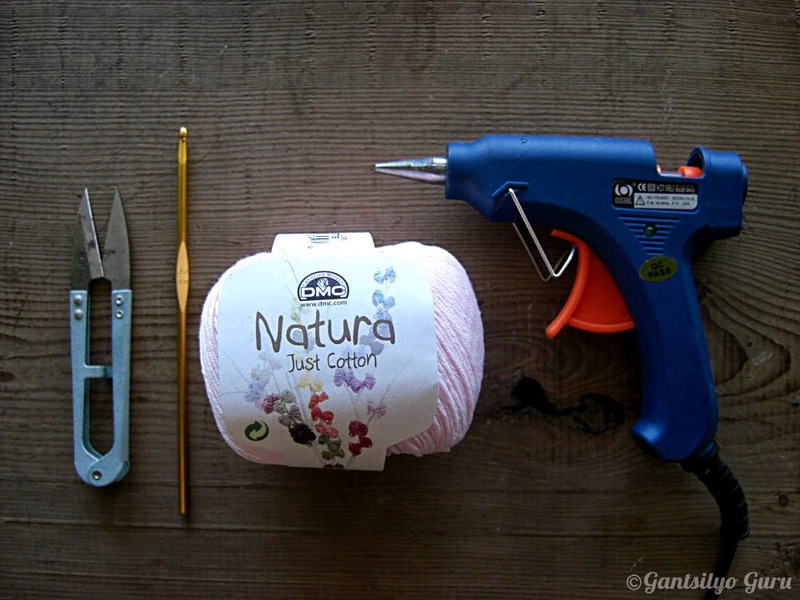 Using the glue gun (or any fabric glue), secure piece by gluing foundation chain from the inside of rose. The flower can stand on its own as an accent that can be sewn to any piece, but you can add extras to make it an instant accessory by gluing an alligator clip or bar pin at the back of the rose. And now you're done! I posted this picture earlier to my Instagram account of more pieces I crocheted in different colors (yes, I made a lot). DMC Natura is available at the DMC Store on the Basement Level of Bldg. A of SM Megamall. Hi trey! These are beautiful! do you sell DMC yarns?